Did the fish really fell like rainfall from heaven? Difficult to believe. But the photos are in the Facebook. It is about fish falling from heaven like rainfall. Hrn Akunne Ezeabataigbo presented the photos on the Facebook and shared by Dickson Omodiagbe and Abraham Eigbe. "That is manna from heaven, keep enjoying it please and plenty more of it" a statement that accompany the photos said. 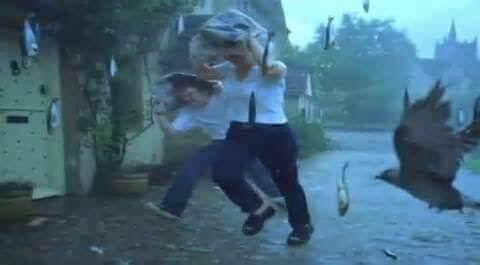 Another statement said, "It rained fish in Thailand today according to BBC. But no news like that is on the BBC website. Did the fish came down with rain alive or dead? And can they survive on the ground without water required for their survival?